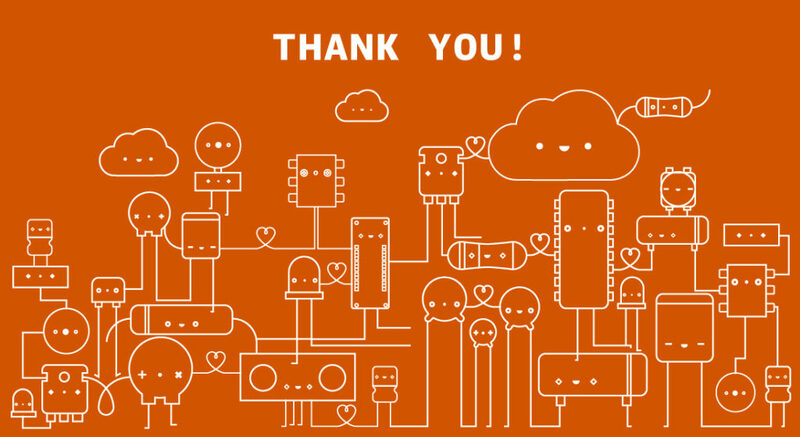 Arduino Blog » Arduino Day 2019: Thank you 659 times! This year’s Arduino Day, held on March 16th, consisted of 659 celebrations across 106 countries with talks, project exhibitions, open activities, workshops, live demos, hackathons, and Ask the Expert sessions. The Official Arduino Day event took place in Milan, in collaboration with Manifattura (see photos), where Massimo Banzi and Fabio Violante unveiled some important figures on Arduino, including the number of IDE downloads over the last year (28M), active users (863K), and Forum contributors (762K). They also presented the latest additions to the MKR family — the MKR GPS Shield, the MKR RGB Shield, the MKR ENV Shield and the MKR THERM Shield — as well as announced the development of the Vidor Visual Composer. Other keynote sessions by our team focused on Arduino and the open source community, the winners of the Arduino Day Community Challenge, the new Arduino IoT Cloud, and highlights around Arduino Education. Were you unable to join us in Italy or tune in to the Arduino Day live stream? Well, we’ve got some good news. You can watch the event in its entirety below, including the AMA with Massimo Banzi! 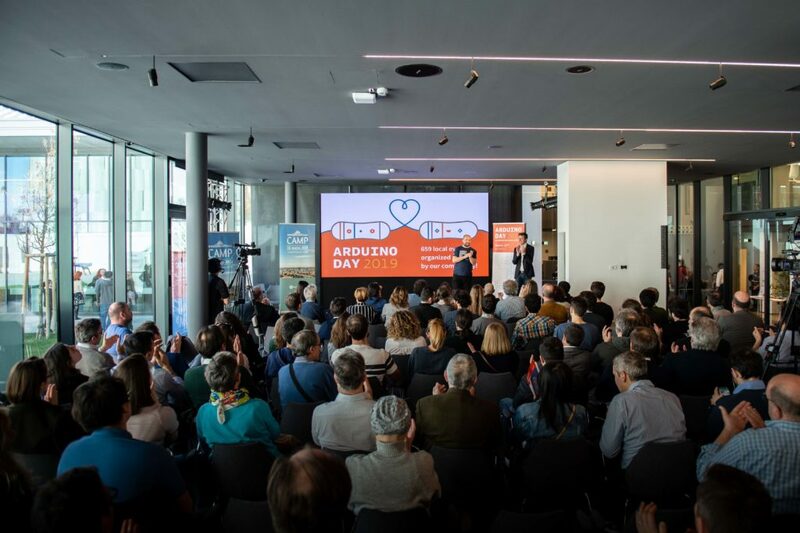 We are immensely proud of the amazing success of Arduino Day 2019, and we want to THANK all of the communities that helped make this special occasion possible. Already looking ahead to next year? Mark your calendars, because Arduino Day 2020 will be taking place on March 21st. In the meantime, don’t forget to share any images or videos of your Arduino Day fun with the hashtag #ArduinoD19! A great great gift to the world. I am a beginner in Arduino World but I realize that this little “gadget” is a great discovery and a great and useful helper for many tasks. I think that his development is only at the beginning, there are many other things which can be controlled by Arduino. Great work, keep it on. Hello,when will the GPS MKR shield be available in Italy?